Co-author of liberature books and liberature theoretician, translator, researcher of the literary output of James Joyce, assistant professor at the Institute of English Philology of the Jagiellonian University in Krakow. The editor of the unique „Liberatura” series of the Korporacja Ha! Art publishing house, a co-founder of the Liberature Reading Room in Krakow. Together with Zenon Fajfer she published a book trilogy Oka-leczenie (2000-2009) – the first book defined as liberature and (O)patrzenie (2003), which initiated an editorial series of liberature. The author of numerous articles on liberature published in Poland and abroad. The editor or co-editor of volumes Wokół Jamesa Joyce’a (Around James Joyce) (1998), Od Joyce’a do liberatury (From Joyce to Liberature) (2002), James Joyce and After. Writer and Time (2010) and monographic issues of Literatura na Świecie devoted to the literary output of J. Joyce (2004) and B.S. Johnson (2008). Her translation of The Unfortunates, a novel by B.S. Johnson, received a distinction at the Book Fair in Wrocław (2008). She has recently finished the book Joyce and Liberature, which will soon be published, and currently she is working on a monograph of liberature. 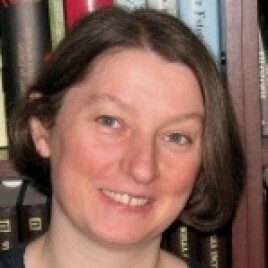 Her publications, translations and speeches on the Polish and international scientific forum have brought the issue of liberature into the academic world. At the 2nd Conrad Festival, she will participate in a discussion to be held on the occasion of the vernissage of the Liberature exhibition in the Wyspiański Pavilion. The meeting shall be conducted by Adam Poprawa.